Wall- to-Wall Floor Covering does kitchen & bath remodeling, too. In response to requests from homeowners and contractors, Wall-to-Wall Floor Covering expanded into kitchen & bath remodeling. Kitchens and baths put the most stress on floors, between foot traffic and exposure to water. Flooring, wall, and counter surfaces benefit from the products and installation expertise of Wall-to-Wall Floor Covering. We offer kitchen & bath remodeling in Ronks, Lancaster, York, Chester, Berks, and Harrisburg, Pennsylvania. Other water compatible materials suitable for a bathroom floor installation are sheet vinyl and luxury vinyl tile. 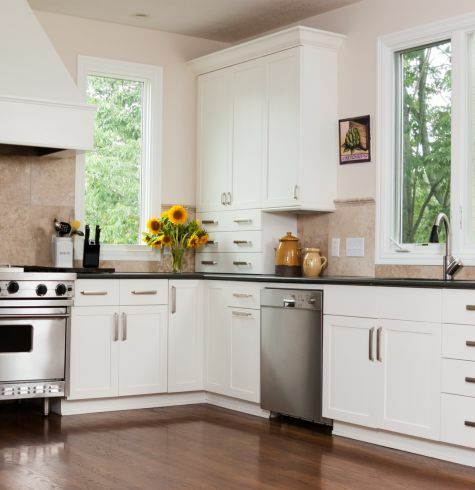 Backsplashes are highly visible, yet don't take up too much space. They are perfect for stepping out and using some high fashion, more expensive tiles that set your project apart. Backsplashes are perfect for setting tiles in patterns or even fashioning a mural with painted tiles. Combining materials in mosaics is a stunning look, some blend glass and steel tiles. Our in-house designers and installers can produce fabulous installations with a surprisingly affordable budget. Isn't it time to have a home where the two of the most important spaces are functional as well as beautiful? When you are ready, a kitchen & bath remodeling by Wall-to-Wall Floor Covering will bring the finest products and skilled artisans together to produce the space you have dreamed of.